Looking for a more natural solution to your pond maintenance? We build wetland filtration systems on our ponds to clean the water naturally. A positive blend of fish, plants, bacteria and ph all filtered through a man-made bog. The angles and depth of the pond, the shade or sunlight it will be exposed to are only some of the factors we take into account when we build any pond. 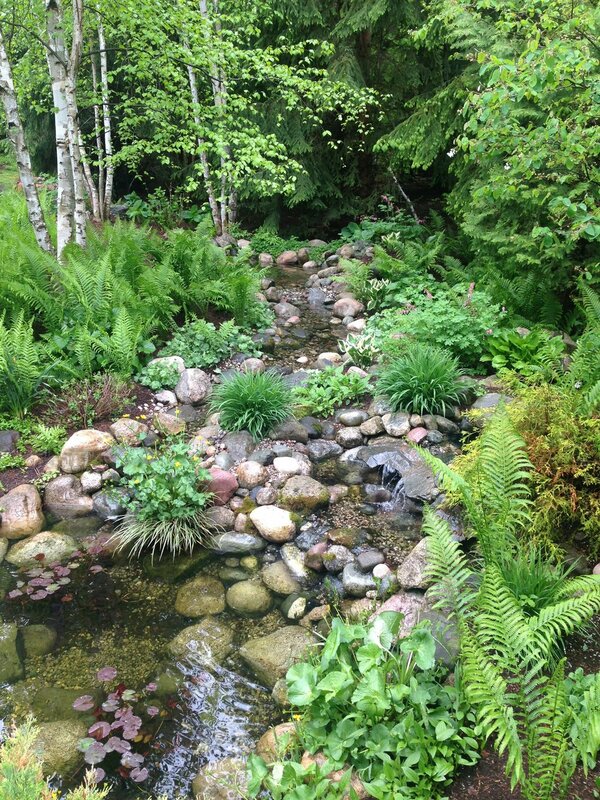 Backyard Michigan ponds are living, breathing systems that require correct infrastructure and planning from day one. Without deep attention to every detail during the build process your pond can be unhealthy. Whether you find yourself with a pond in need of better filtration or are looking for an expert backyard pond builder to work with your landscape design contact Waterpaw. For more information read a few of our other blogs and search our pond resource. We can't wait for this springs exciting build projects to begin! A meandering stream flowing into a pond all filtered by plants and fish.